From parking lot view looking at HEB, we are located to the far right corner. Cross streets. Boerne Stage Rd/Eugenia Pass. 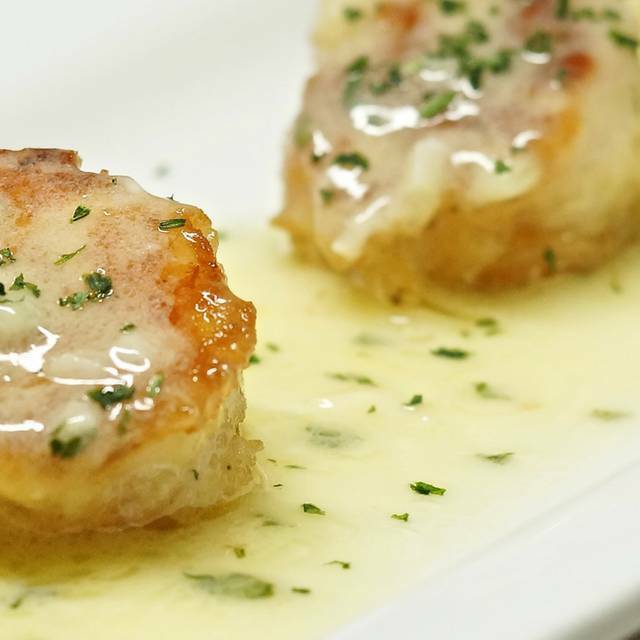 Scuzzi’s offers the best Italian food in San Antonio. Join us for lunch or dinner or happy hour with excellent wines, beer, and mixed drinks. 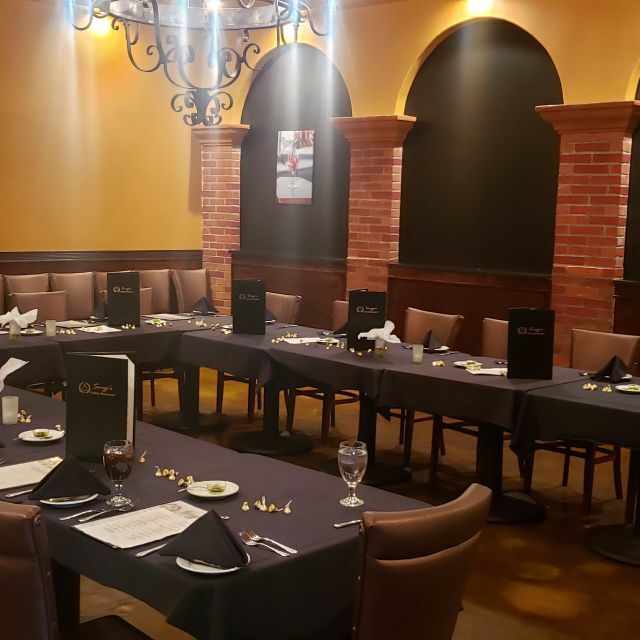 At Scuzzi’s, we offer custom menus for all types of events, buy-outs, and private functions. We also specialize in private dining, events, catering & delivery. My linguini pescatore was great, but my wife's salmon was not that good. Definitely worth another try. The overall experience from reservation confirmation to exiting at the end of the evening was superb. Our waiter Russell, was the best waiter I’ve had in years, great job!! Dinner before Daddy Daughter dance . Great food and service! Highly recommend clam soup and Veal Scallopini! The restaurant was probably having a bad night, but they sure had trouble getting our order right. The mistakes began when a white sangria arrived, instead of the red one that was ordered, the salad delivered was also incorrect. After we had been there for an hour, three out of six of our meals were cold, and the pasta was mushy. The server was kind, and attentative, but as mentioned, made too many mistakes. At the end, we filled up on bread (which was the best part of the meal), and took home the rest of our meals home. Our waiter was awesome! The atmosphere and the food were great! At dinner this evening, there were three of us. We were there for my birthday. I booked reservations via open table, and were seated right away upon entering the restaurant. Our server, Russell, was amazing! Throughout our entire experience at Scuzzi’s, none of us wanted for anything. Our glasses were filled without having to hunt anyone down to ask, he was very observant and well spoken... anticipating our next possible desires. We ordered a Sampler Seafood Platter to start, which contained two scallops, a nice-size portion of calamari and two pieces of Scuzzi’s Famous, “Shrimp Scuzzi”. It was prepared fresh and it was hot when delivered, tasty and all spices were right on! Although this item is not on the current menu, it is available. For main courses, one of my guests had spaghetti bolognese. She said the flavor was great, but was a little spicy. She also had a house salad which was served on a nice cold salad plate. The salad comes with a flavorful Italian vinegarette that she said was delicious. Another of my guests ordered the chicken picatta. It was his first time trying this dish ever, and I was a little concerned because he is a picky eater, but he hobbled his chicken down and practically licked the plate. He said the flavor was refreshing with the lemon, but not overpowering. The capers added just the right balance of salt to the sourness of the lemon. For my main course, I ordered angel hair pasta with a basil pesto cream sauce. OMG! I thought I died and went to heaven! Wonderful fresh basil turned into a heavenly sauce that I couldn’t get enough of... even though the portions sizes were more than adequate. The homemade bread that was brought to the table repeatedly, was crisp on the outside, moist and soft on the inside, and the oil and herbs that are served with it are unbelievable! Requested high table none available ok not a problem. Was sat and 15 minutes later first drink of water finally rested upon my lip. Ordered drinks to set the mood since it is Valentine's day. Took a sip no bueno. Was horrible. Waitress says the bar tender is just a fill in for today, he usually a waiter or something. I ordered the seafood pasta. Food came it was flavorless to me. My wife enjoyed her pasta. Now granted I been to Italy a couple of times for a total of 75 days together so I might be biased. Well I don't think I will visit the one off 410 anymore will try a reshoot with the one off 1604 to see if it taste better. P.S. Waitress need to have better knowledge of menu, bare minimum offer water while we (the customer) glances at menu, service makes up for just bland and ok food and vice versa. This one the first open table booking I almost regret. Eat there frequently. Super service and great food... though sometimes too much garlic. Good wine list. restaurant wasn’t crowded but they sat 3 parties all in a row which made it almost impossible to hear the person sitting next to me. We were a party of 7 sandwiched between a party of 20 and 7. They had an empty separate room that could of held the party of 20 or my group of 7. Food was good and service was good but the fact that I had to listen to all the antics of the birthday party behind me complete with kids running around the restaurant was not pleasant. I am a mom of 3 and I get it but it was irresponsible of the restaurant to place that many guests on top of each other and not have the party of 20 have a separate for the birthday party. Ruined the evening for me. Very good food, enjoyed very much. Will definatley eat there again. Love this restaurant! Best kept secret since they opened, with good food, great value and even when crowded it's a nice quiet romantic place for lunch or dinner. The service seemed a little bit slow. We also had a dirty fork as well as a glass with crusty old food on it. Food was okay but overpriced. Our meals were very good. Everyone shared the Italian Wedding Cake, really chosen for a birthday treat and the birthday song was sung in Italian. Unique! 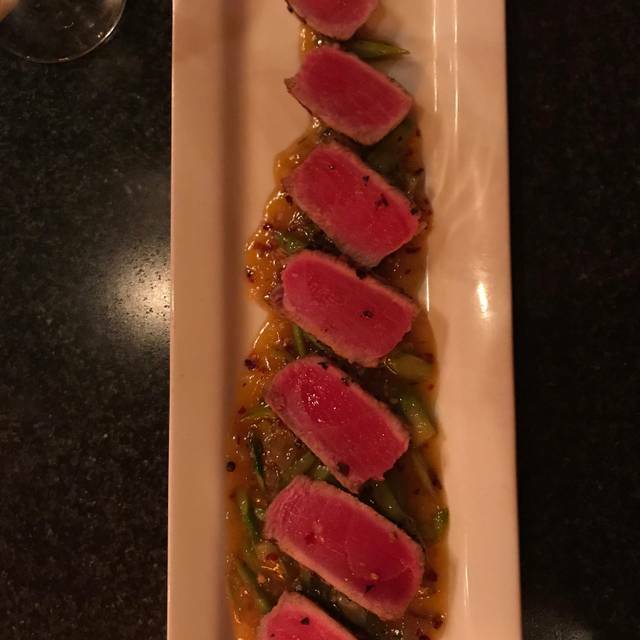 Appetizer was not large. The oyster appetizer was eaten in one bite. The waiter was very good and catered to our every need. I feel the food was good but pricey. The service was outstanding and made it worth our dat night. Great food, great service, it isn't somewhere to go every day or if you are looking for somewhere cheap but a higher end meal that won't kill your wallet it's perfect. Only complaints is location is kind of meh it's right next to a pool store and HEB. The inside is very generic and looks like a rush design. Lovely evening celebrating a 40th Anniversary. The food was delicious. The ambiance quiet and calm. We were able to coincide with Restaurant Week and received an outstanding value. The filet medallions were smaller than anticipated and the cheesecake left a little to be desired. Overall, a strong showing. We have visited three times and each visit was very enjoyable. Food is excellent, service very good and atmosphere very relaxing. Had the trout and it was great! We had dinner while a piano played in the background, very nice. Superb! All four of us got something different and all were spectacular. Wonderful ambience and service was impeccable! They were awesome. They stayed open late for us after graduation so we could have a family meal. Food and service were great. Wine list was good. Would recommend and will be coming back soon. Always delicious. Great service and wonderful martinis. 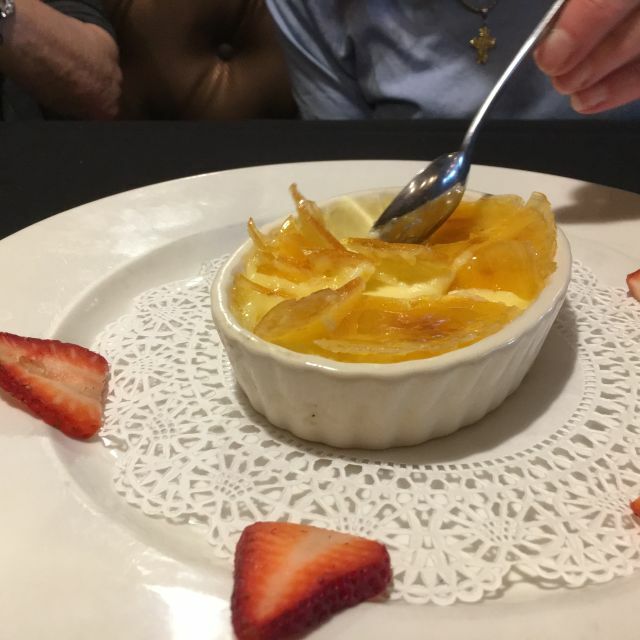 The service was great and food was good but avoid the cream brûlée which was 1/4 thick inedible mess. They took it off the bill. We’ve eaten there a couple of times and the food is good. Jorge was our server and he was very accommodating. Our dishes were delicious as welll! The quality of the ingredients and preparation lacked substantially in comparison to the price. Visiting the new Scuzzi’s was a wonderful treat for us and our friends Tuesday night. Our server and wine steward both offered excellent service. Our dinner was delicious! We will return. Hostess did not have the seating I had reserved. We ate at a high table in the bar instead of the general dining area. Bar service was very good. Nice menu. Food not as tasty as Scuzzi location at N. Military and Hwy 1604. Very hospitable, great atmosphere an a quiet place to relax. The restaurant is run professionally! Excellent waiter named Jorge. Timing of dishes was spot on. Even the manager came around to ensure everything was handled correctly. Food was A+. Dinner with wifey and daughter. High tops in bar area on a Sat night 8:30. This location is new. We have been to the 1604 spot numerous times. For a Sat night the place was empty. Maybe 3-5 tables seated. Service was great. Bartender couldn't "stir" martinis after requesting the first to be redone. Additional martinis were shaken again and again. I could understand if the place was overflowing with customers, but we were the only ones ordering martinis. Not a huge deal to some, but I asked for a specific drink, and the same mistake happened. Food was good, overall it seems Scuzzi's has lost a step or 2 in the kitchen since the original opening at 1604. It's a shame because the owners are fantastic people. I hope they step it up before it's to late. At this time I can't recommend this place with total confidence, but will reluctantly. Excellent experience our first visit. Top-notch service, food and ambiance. Extensive menue. We will be back so we can try everything on the menu!